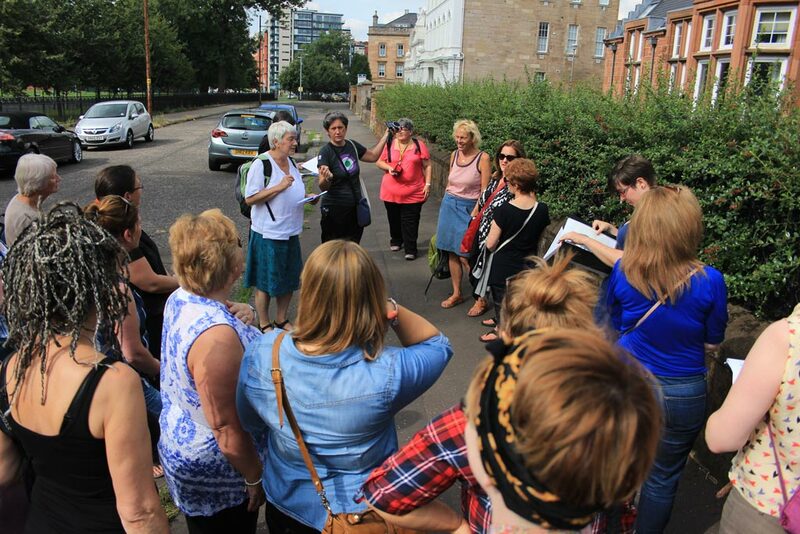 Following the huge success of our West End Women’s Heritage Walk and Map the Women Make History team has made history again in developing the first audio tour version of a women’s heritage walk in Glasgow. The audio tour reveals a hidden history of the West End: from pipe-smoking forewomen to revolting schoolmistresses. A unique & inspiring insight into the hitherto unsung women who made the West End. This fantastic resource is now available to download for just £3. The tour is also available in German and we are working on translations in French and Spanish. This audio tour has been developed with support from Glasgow International in 2014 and has been developed in English, French (Francais), Polish (Polski) and German (Deutsch). 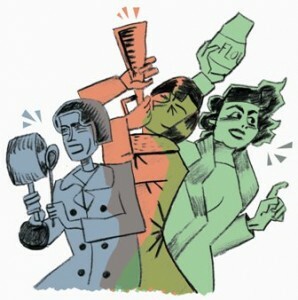 We also received support from the Goethe Institute to produce the German translation of this audio tour. The Wigtown Women’s Walk group, a group of dedicated volunteers from the local community, have accomplished a lot with support and advice from NHS Dumfries and Galloway, Dumfries and Galloway Council, Glasgow Women’s Library – and plenty of tea, coffee and cake from the Readinglasses cafe! 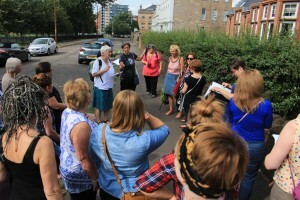 – The group researched and launched their own women’s history walk on International Women’s Day in March 2009 and since then the walk has gone from strength to strength. There is now a self-guided walk leaflet available at local outlets and now downloadable from GWL’s website and also a guided tour supported by the group’s volunteers which runs regularly at community events and festivals – the tour’s last outing at the Wigtown Book Festival attracted 40 participants. We are now proud to feature the latest exciting development – an audio tour podcast of the walk, available to download for free. The group were keen to make the walk as accessible to as many people as possible, so decided a podcast would be the next step. 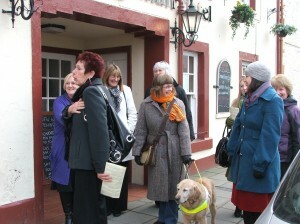 The audio tour was written and recorded by the walk group and other local community members with the help of funding awarded from the Galloway Association. Kriss Nichol from Wigtown women’s walk group has written a blog post about the experience.